By the end of this year, the EPA will “propose a regulatory determination” for the chemicals, the next step toward establishing limits under the Safe Drinking Water Act, Wheeler said in Philadelphia as he released the agency’s policy for dealing with the substances. The EPA has faced criticism from lawmakers in both major political parties as an increasing number of states have discovered perfluoroalkyl and polyfluoroalkyl substances, known collectively as PFAS, in public water systems and private wells. The synthetic chemicals are found in firefighting foam, nonstick pots and pans, water-repellent clothing and many other household and personal items. Environmentalists have criticized the agency, saying it had not acted fast enough. “We are moving forward with several important actions, including the maximum contaminant level process, that will help affected communities better monitor, detect and address PFAS,” he said. The EPA also is moving toward listing the two common forms of PFAS, known as PFOA and PFOS, as hazardous substances and will issue interim groundwater cleanup recommendations for contaminated sites, he said. The agency will propose adding PFAS chemicals to a drinking water monitoring program and develop new methods for detecting them in water, soil and groundwater. 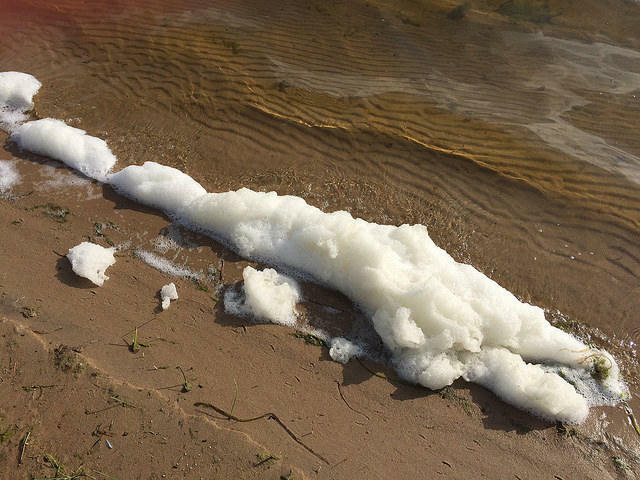 With the Senate considering whether to confirm Wheeler as EPA administrator, Democratic and Republican lawmakers have pressed him to establish mandatory limits for PFAS in public water systems. The Environment and Public Works Committee’s ranking Democrat, Sen. Tom Carper of Delaware, said the agency’s plan takes only timid steps toward fulfilling pledges made by former EPA head Scott Pruitt, who in May 2018 described PFAS pollution as “a national priority.” Pruitt said the EPA would begin evaluating the need for regulating the chemicals under the Safe Drinking Water Act. Republican Sen. Shelley Moore Capito, whose state of West Virginia was one of the first where PFAS contamination was linked to human health problems, said she voted for Wheeler’s nomination in committee earlier this month only after he privately assured her the EPA would tackle the problem.